Margot Robbie once again looked stunning on the red carpet at the 2018 Screen Actors Guild Awards at the Shrine Auditorium on Sunday in Los Angeles. She was nominated for Outstanding Performance by a Female Actor in a Leading Role for her performance as Tonya Harding in ‘I, Tonya’. The 27-year-old Australian actress and film producer looked like a figure skater in a pastel pink halter gown from Miu Miu featuring a feathered trim around her waist and intricate beading. 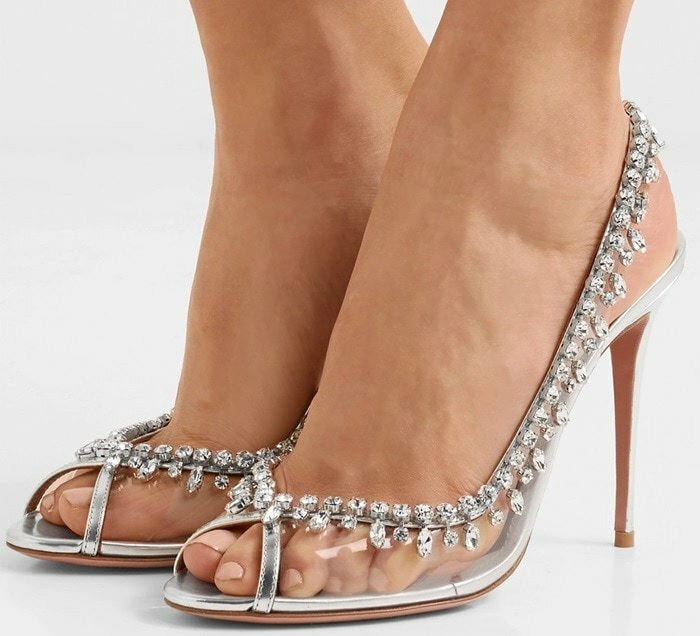 While we love her silver Jimmy Choo ‘Celeste’ clutch and Tiffany jewelry, we also wish we could have seen her Aquazzura ‘Temptation’ sandals in clear vinyl with floating-effect crystals and metallic leather trim. 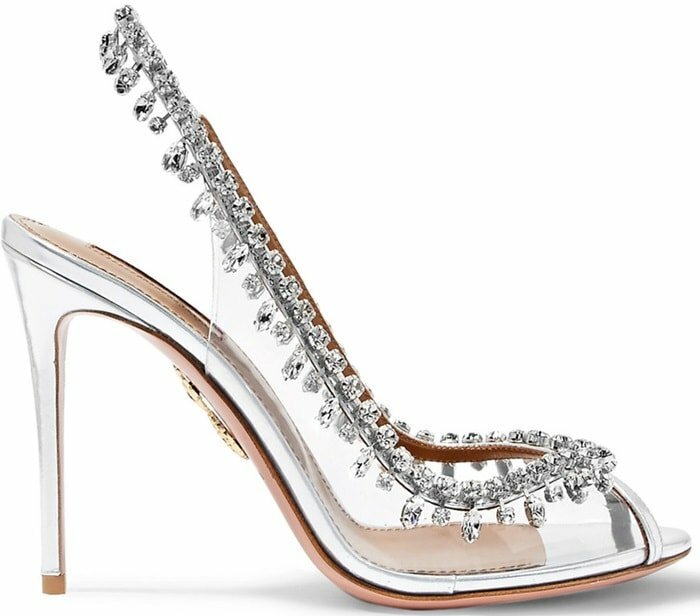 You can buy them at Net-A-Porter. 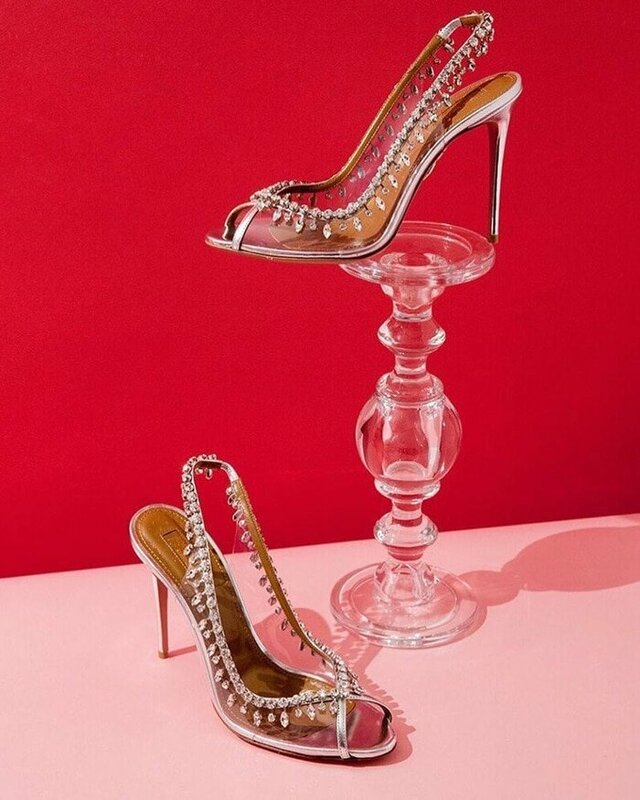 Aquazzura’s ‘Temptation’ pumps are made from clear PVC and silver patent-leather in an elegant peep-toe silhouette that instantly makes legs appear longer. 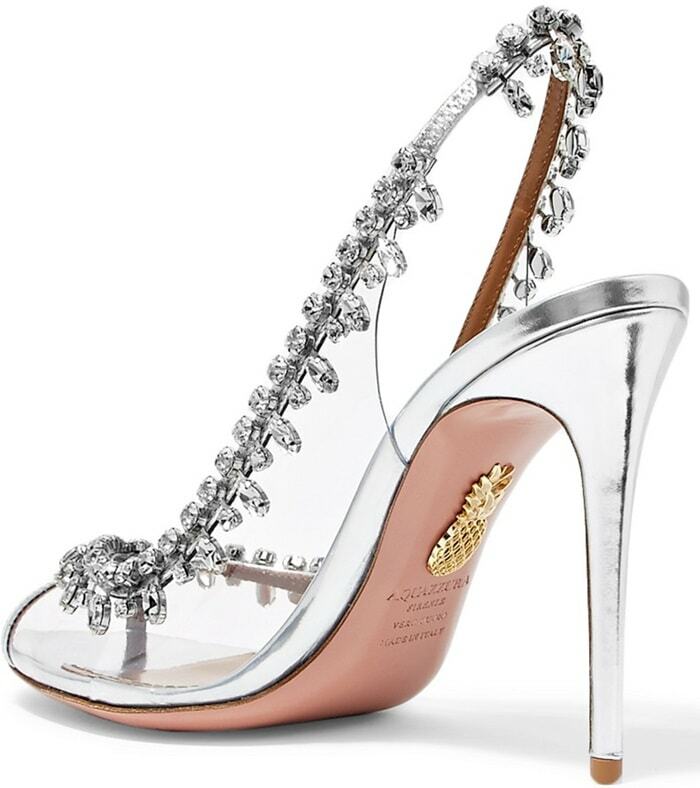 They’re embellished with dangling crystals that frame and flatter your feet. One day earlier, Margot also hit the red carpet at the 2018 Producers Guild Awards held at the Beverly Hilton Hotel in Beverly Hills. This time she opted for a dress from the Louis Vuitton Spring 2018 collection featuring draped leather sleeves and silver mini pailette embroidered straps. 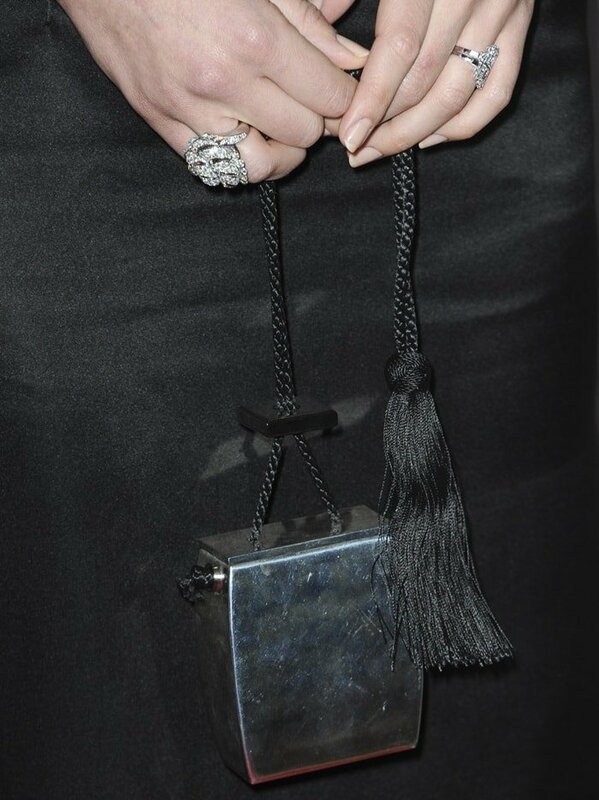 Completing her look were a bag from THE ROW (available at Barneys New York), black pointy-toe pumps, and Cartier jewelry.